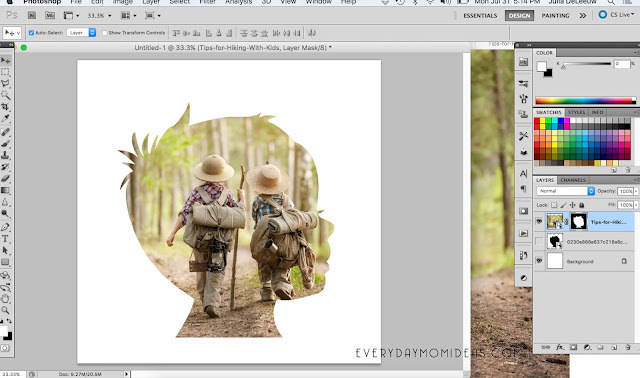 These photo filled silhouettes make beautiful custom artwork and they only take a few minutes to create in photoshop. This is an easy four step photoshop tutorial anyone at any level can do. These are perfect for a special wall gallery of your children, a sentimental gift for relatives or use as an inspirational poster for you kids room. 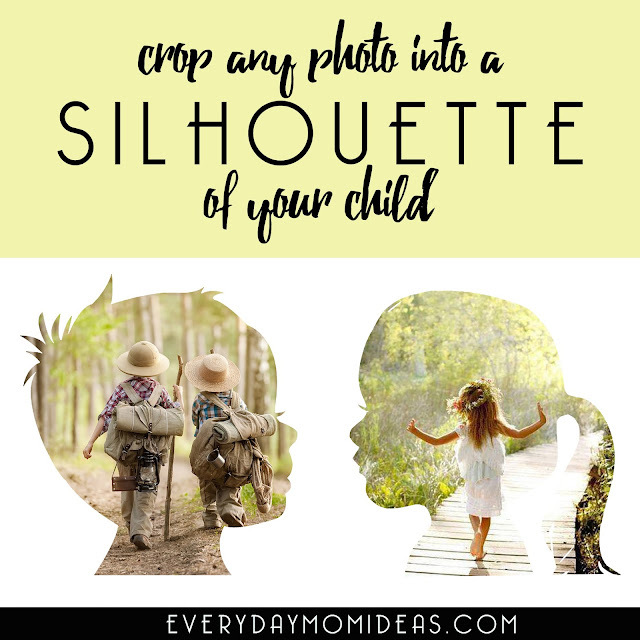 Get a photo of your child's favorite pastime and/or dream and place the inspiring image inside a silhouette of their profile. You can print poster sized images at your local printshop or even online at Walmart. Step One (The Set Up): Open a new file in Photoshop. Select the size you would like your print to be. I recommend a standard paper size of 8.5x11. Place your two images you will be working with. The solid black silhouette image and the photo you would like to fill the silhouette with. Go to file > Place then select the image and hit place. 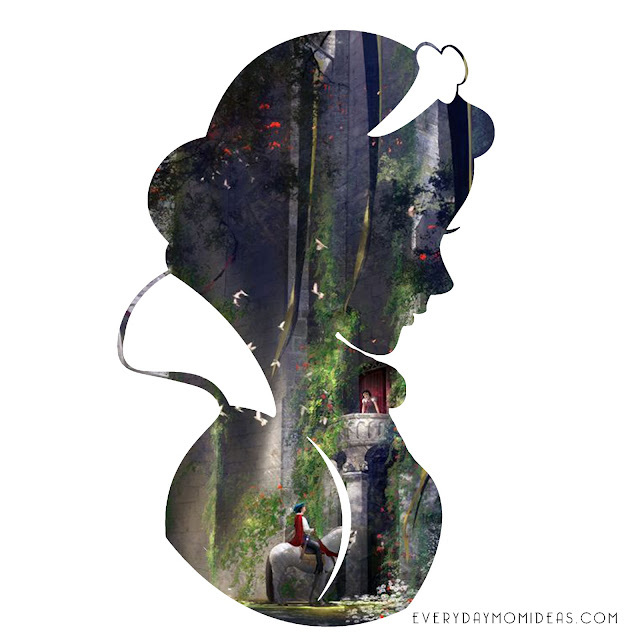 The two images should be on two different layers. 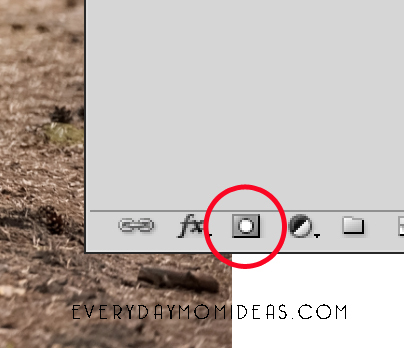 Step Two: Hide the "Fill-In Photo" by clicking on the eyeball in your layers panel. So that you are only seeing your silhouette image. Make sure you are on the layer with the silhouette image. Using your magic wand tool click on the middle of your black silhouette. Your entire silhouette should now have little marching ants around it. 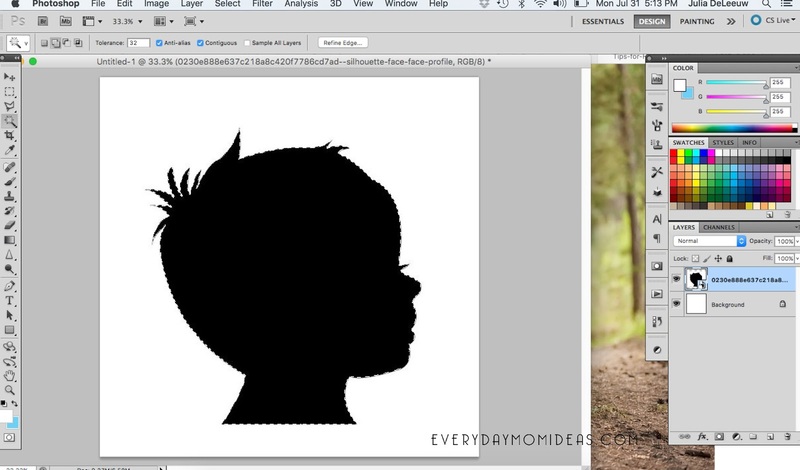 Step four: You should now have your image cropped out to the shape of your child's silhouette. 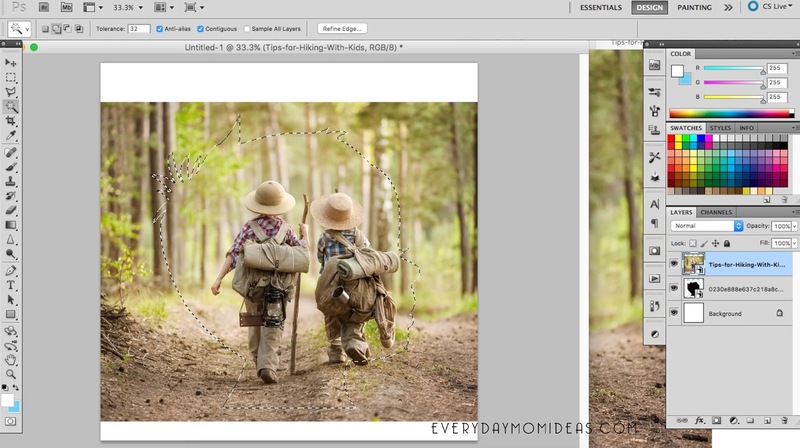 Hide or delete any other layers besides your "Fill-in photo" that you just cropped. 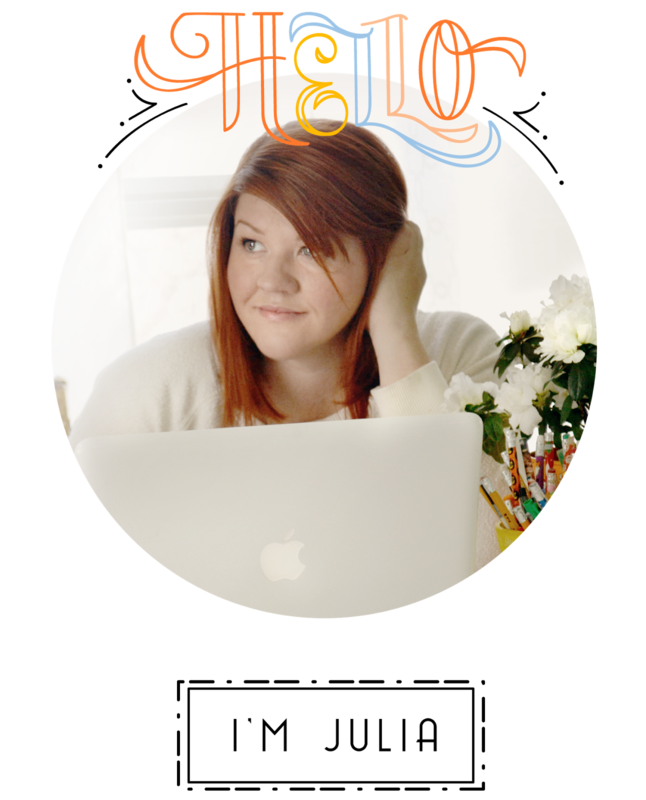 This will help your image look nicer and eliminate any background photos from peeking through. Tip: You can hide or delete your backgournd color and save it as a png. file This kind of file will make it easy to add your image to and or on top of any future projects. Also make sure you save a photoshop file of this, so you can easily swap out other "Fill-in photos". 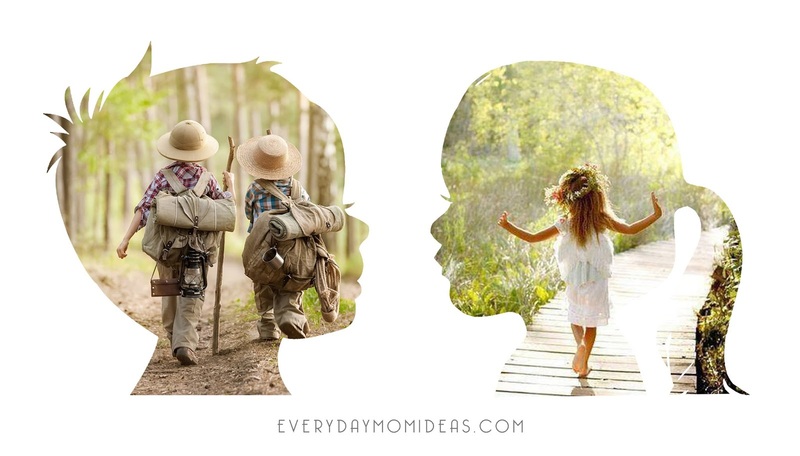 If you are having a hard time getting a silhouette image of your child in the first place, you can check out this other tutorial I did a few years back to see how to make a easy digital silhouette of your kid in four easy steps. Please share this Pinterest friendly image below with your friends and family or save this project for a later time.